There has been lots of sewing going on here. 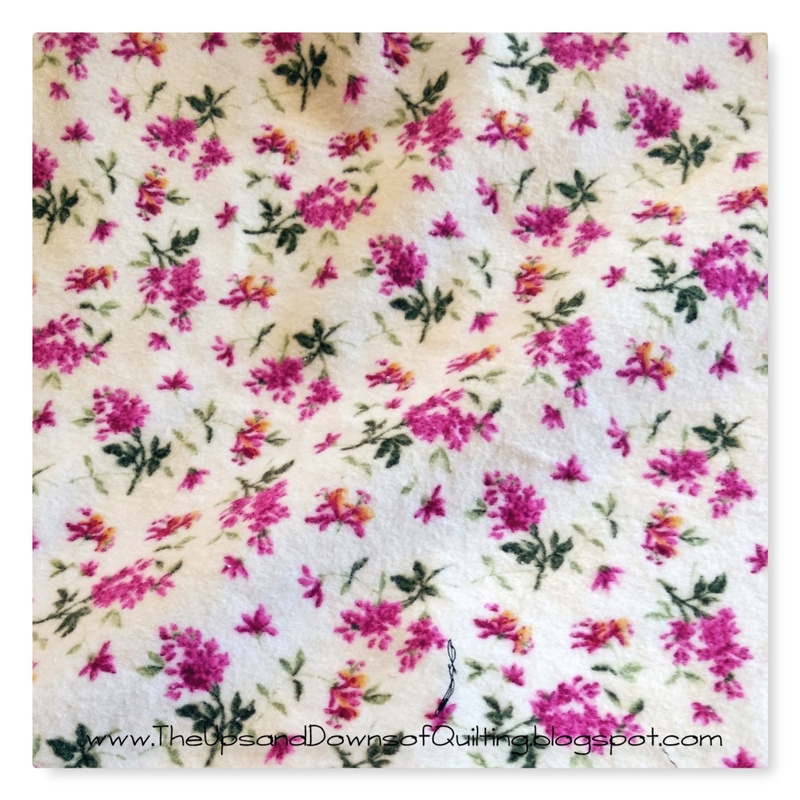 The Snappy Pink Lemonade quilt is done. The quilting included some ruler work. The addition of a larger ruler base bed purchased by DH helps tremendously. This is the first ruler work that I felt comfortable performing. 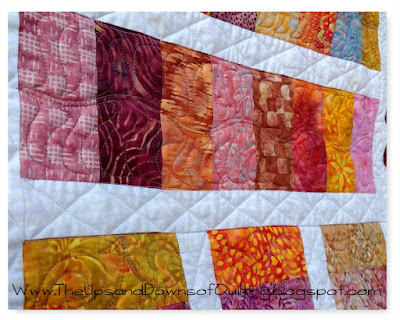 It was the easier part of the quilt. The coin sections have different styles of "feathers". You can see the fern ones here. Nothing special but just what that space needed. These fronds are rather fun. The back is this soft flannel that has lived in the stash a very long time. MJJR graduates in a month. Her top is done but not quilted. The back fabric was washed today. Time to get up and check off some of the daunting task. Most of the invitations are out. The food and cake still need to be ordered. Another graduate has asked for help with her T-shirt quilt. It contains many memories and it was exciting to help pull it all together. I think fleece on the back in college colors will work great. The top should be together next time. The colours/prints in this quilt are so darn snappy. 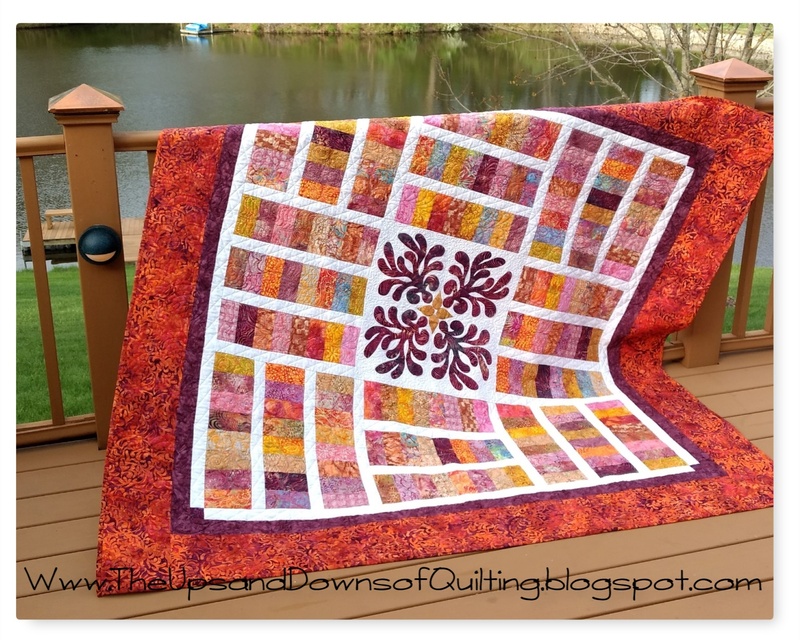 It's gorgeous and the quilting looks great. Love the colors, it is gorgeous! 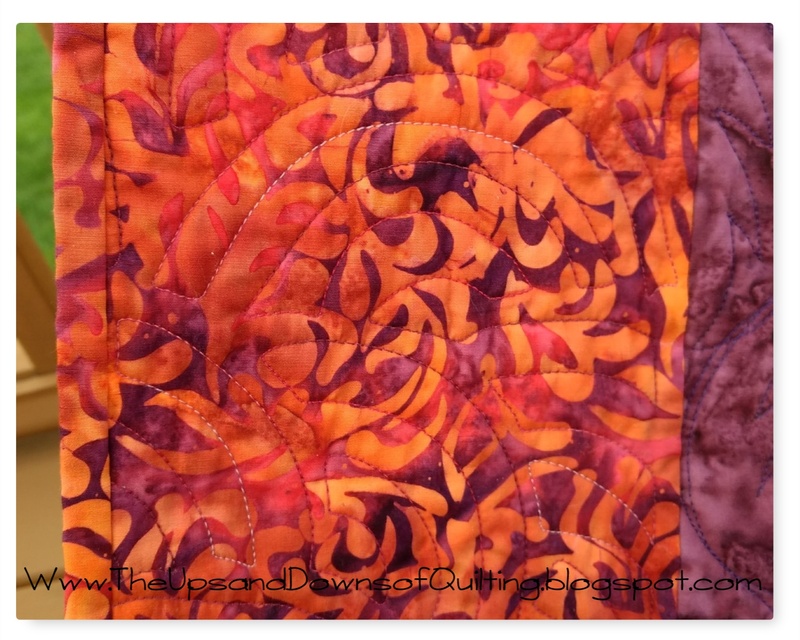 That backing is so pretty, too! 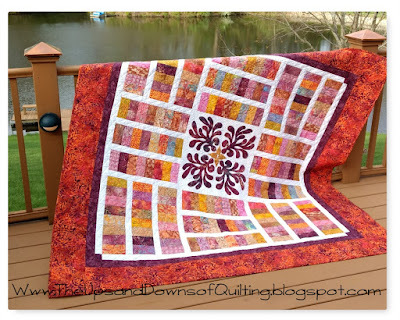 Beautiful quilt and what a great design for the use of scraps. 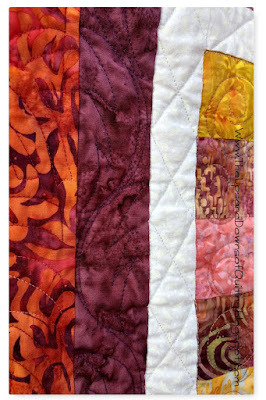 Your quilt is very pretty, and I love the way you quilted it. ---"Love"
It's a very pretty quilt. You're ahead of me in grad preparations - invitations for my senior's party are not printed yet...time kind of sped right past me!